Lip enhancement restores lips to a full, smooth and youthful appearance. A full, well-defined lip is a signal of youthfulness and fertility. Lip enhancement also called lip augmentation, restores lips to a full, smooth and youthful appearance. Procedures can be done with injectable lip enhancement fillers, which provide instant results that can last six to twelve months. Surgical lip augmentation is also an option and involves removing fat from the abdomen and injecting it into the lips. A thorough consultation is an important first step when deciding if a surgical lip enhancement procedure is the right option for you. One of our board certified surgeons will discuss your desired results, examine you and provide an honest, professional opinion on how best to achieve those results. We also make certain that you are a good candidate for the procedure, taking into account your age, health, medical background and other factors that could affect the safety and effectiveness of your surgery. All of our consultations are conducted with the goal of making sure our patients feel comfortable, confident and informed about surgical lip enhancement. When it is time to begin, you will be taken to our state-of-the-art surgical suite and comfortably fall asleep under general anesthesia. A surgical lip enhancement typically takes two hours. We recommend no heavy lifting and avoiding direct sunlight for several weeks following your surgery. We also discourage wearing makeup for seven to ten days after surgery. In just a few weeks, you will be able to resume your daily activities. Remember that everyone recovers differently, and you may need more or less time before you feel 100% again. A few days after your surgery, your RTH doctor will follow-up to see how you are healing and prescribe any necessary medication. While results vary based on the individual, surgical lip enhancement patients can expect to enjoy fuller and poutier lips with results lasting up to five years. Smooth and full lips can make your whole face look younger and refreshed. During your consultation, your doctor will thoroughly explain what results to expect. A thorough consultation is an important first step when deciding if an injectable lip enhancement treatment is the right option for you. We thoroughly discuss lip surgery cost, your desired results and provide an honest, professional opinion on how best to achieve those results. We also make certain that you are a good candidate for treatment, taking into account your skin type, age, health, medical background and other factors that could affect the safety and effectiveness of your treatment. All of our consultations are conducted with the goal of making sure our patients feel comfortable, confident and informed about injectable lip enhancement treatments. Three to five days prior and three days after treatment, avoid taking any aspirin, non-steroidal anti-inflammatory medications, St. John’s Wort or high doses of vitamin E supplements, as these all may increase bruising or bleeding at the injection site. As with all injection treatments, there may be some discomfort. We can provide a topical anesthetic or a dental nerve block to increase your comfort level. Treatments take as little as 20 minutes to perform. After treatment, you may experience some swelling, redness, pain, bruising and tenderness — symptoms that normally last less than a week. While results vary based on the individual, injectable lip enhancement patients can expect to enjoy fuller and poutier lips with results lasting six months to a year. Smooth and full lips can make your whole face look younger and refreshed. During your consultation, we will thoroughly explain what results to expect. 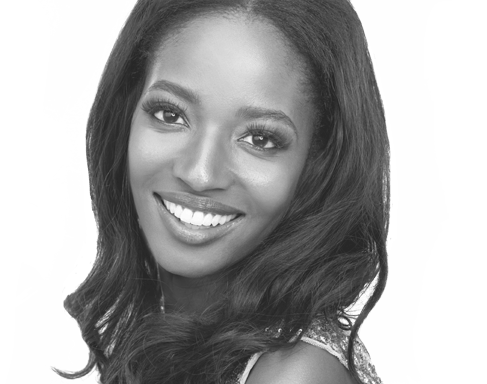 Q: Is a lip enhancement surgery or injectable treatment right for me? Lip enhancement is a common procedure for both men and women. If you want plumper, fuller lips, or you want to rejuvenate aging lips that have grown thinner over time, lip enhancement may be the right option for you. All lip enhancement candidates must be in good health and have no pre-existing medical conditions that could create complications. Q: What causes lips to age? Many factors influence the way our lips age. The most common factors are the loss of elasticity, the loss of collagen, genetics and gravity. When skin loses its elasticity it can begin to visibly sag. 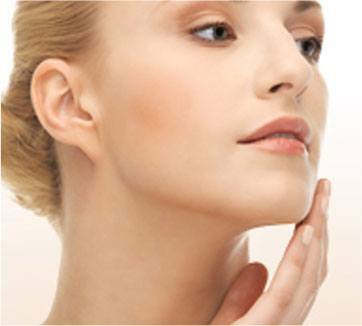 Loss of collagen under the skin can reduce volume and support, which creates visible wrinkles. Family genes also can be predisposed to showing early signs of aging. Q: Why choose RTH Plastic Surgery for my lip enhancement procedure? When choosing a plastic surgeon to perform a lip enhancement procedure, there are three important qualifications to consider: training, experience, and personal attention. Your surgeon should have completed an accredited plastic surgery residency program and be board certified by the American Board of Plastic Surgery (ABPS). Above all, your doctor should be someone you trust to deliver exceptional results and perform a safe and effective procedure. Q: Will my insurance cover a lip enhancement procedure? Lip surgery cost – Insurance companies commonly do not cover an elective or cosmetic procedure like lip enhancement unless it is performed to correct a medical or health condition. If you plan to use insurance as payment, we strongly suggest consulting with your provider to discuss if the procedure is covered in part or in full by your current plan. Q: Will my lip enhancement have a natural result? The longevity of results varies and is dependent on the individual. Typically, you can expect the results of an injectable treatment to last for six to twelve months and the results of a surgical treatment to last up to five years. Q: What are the risks of lip enhancement? As with any surgical procedure, there is a risk of complication related to infection. Some people may wake up from surgery feeling groggy and experience an upset stomach, side effects of the anesthesia that are very temporary. Risks associated with injectable treatments are incredibly minimal. We are happy to explain in detail any of the risks involved prior to your surgery or treatment. We carefully review your complete medical history and all medications you are on to prevent any complications. Q: Can I have additional procedures in combination with my lip augmentation to enhance results? Yes, your RTH doctor can recommend additional services that may enhance your desired results like a facelift or dermal fillers. RTH also offers the option of combining your lip enhancement with a laser skin resurfacing treatment. Lasers promote collagen growth under the skin, which naturally helps to fill in wrinkles and restore volume around the mouth and other areas of the face.